We had a full schedule for day two in Memphis and we were up early at the Madison Hotel to get started. 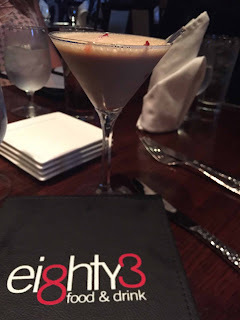 I headed downstairs with my friends Angela, Kylie, and Brittany to the Eighty3 Restaurant in the hotel for breakfast. 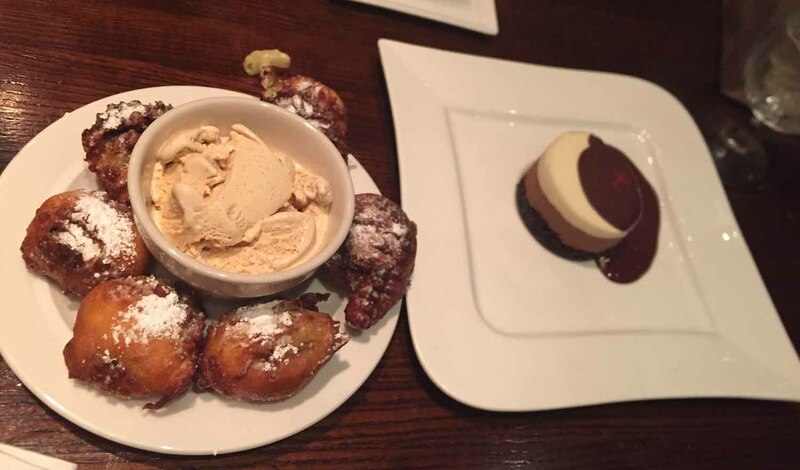 The menu had many choices, but we all focused on one – the Elvis Waffles. 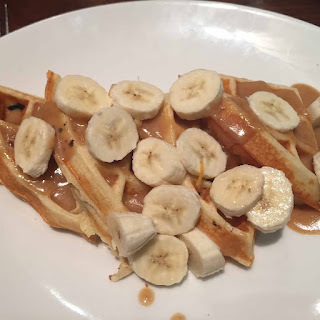 Eighty3 had the waffles bearing his name done to perfection, with a whipped peanut butter and marshmallow sauce, fresh sliced bananas, and Applewood bacon. After we ate all we possibly could we drove to Memphis’ most famous attraction, Graceland. 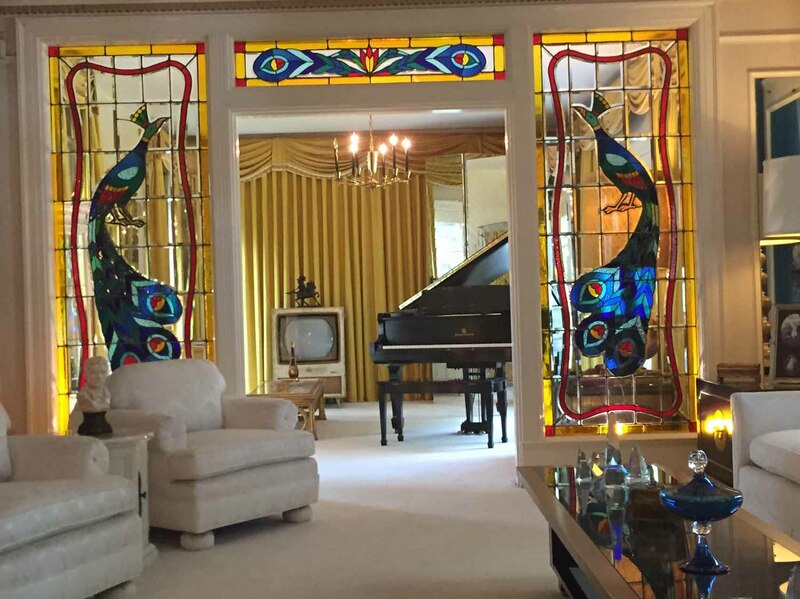 The former home of Elvis Presley is more like a city than an estate. The “King” made quite a home for himself and his former wife, Priscilla Presley, and daughter, Lisa Marie Presley, have definitely maintained it as quite the attraction. 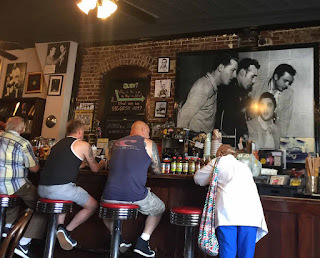 Now, this is the place I make a confession… I was never an Elvis fan. Not of his music, and not of his movies. 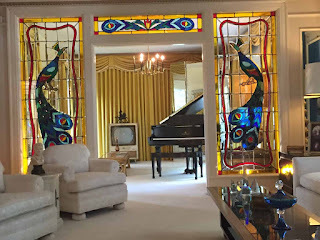 I still felt I couldn’t go to Memphis without going to Graceland, and I’m glad I did because my opinion definitely changed. 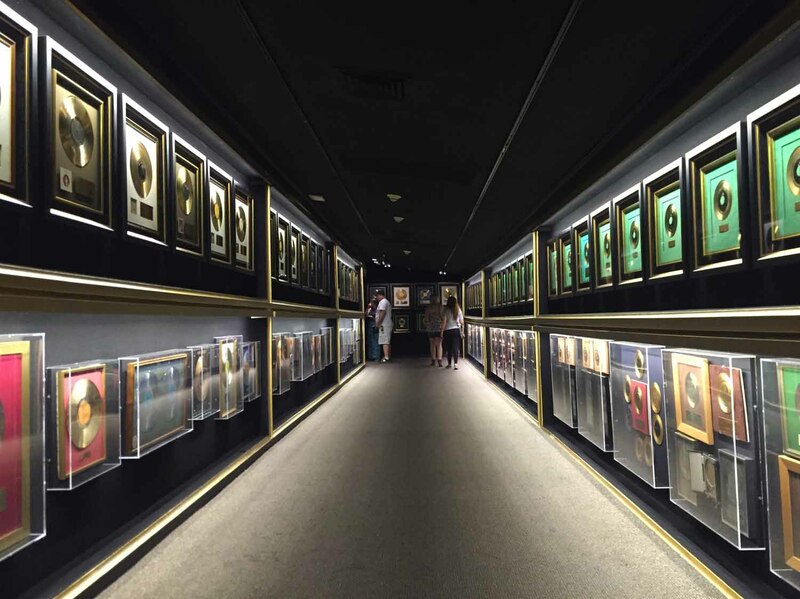 I didn’t realize until after the Graceland tour just how diverse the talent of Elvis was. I also did not know how much he had given to charity and the people around him. 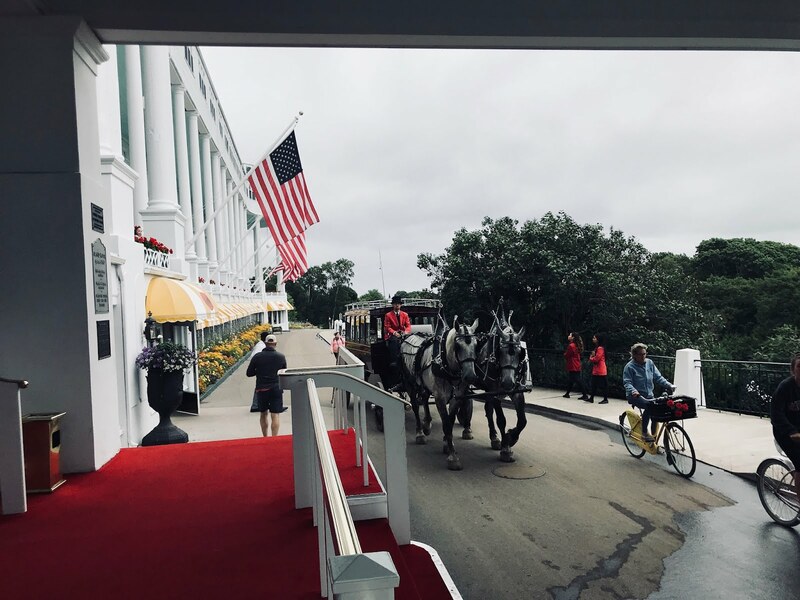 I also enjoyed the tour since it was narrated – on the individual IPad we received when it started – by John Stamos, who graciously retweeted me when I made that statement on Twitter. Stamos took us through every foot of Graceland, from the grand entrance of the mansion, through the dining room, living room, kitchen, and Trophy Room, which has a Hall of Gold (records). That is only a small part of the estate. 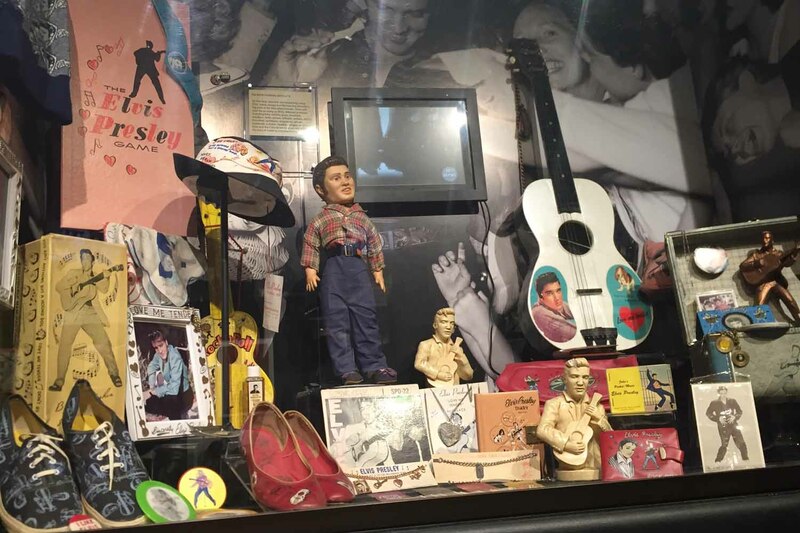 We saw collections of Elvis memorabilia which was made and sold -- dolls, hats, sneakers, guitars, sculptures, and even an Elvis Presley game. 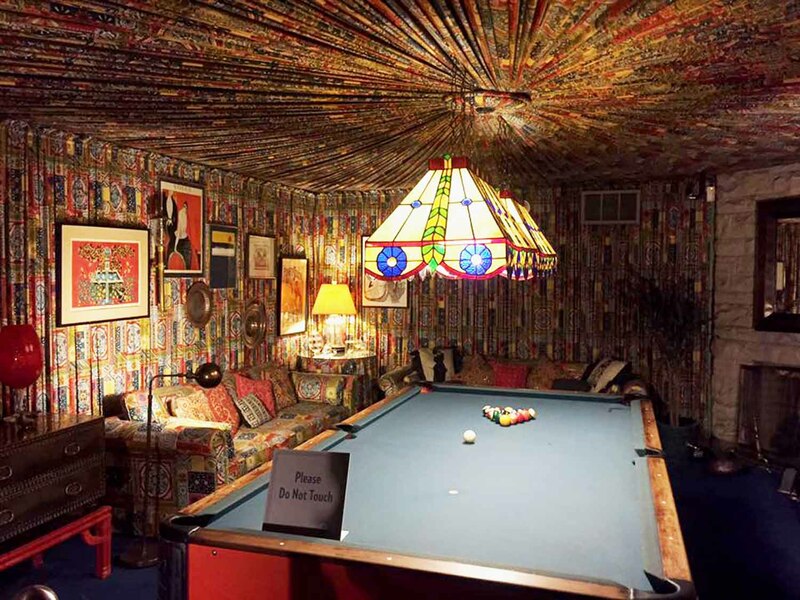 We walked through the Record Room, which looks like it will never end. 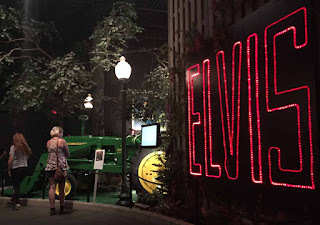 We saw clothing displays that included Priscilla’s wedding dress and Elvis’ army uniform, as well as many of the elaborate costumes he performed in, including some he wore during his 1968 TV Special. 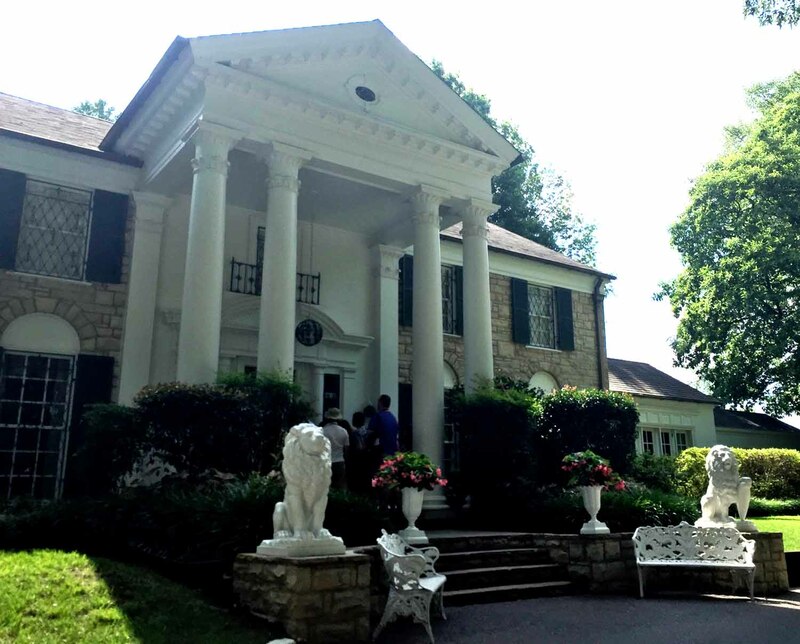 Outside the house, Elvis Presley’s grave is in the garden, next to a fountain. 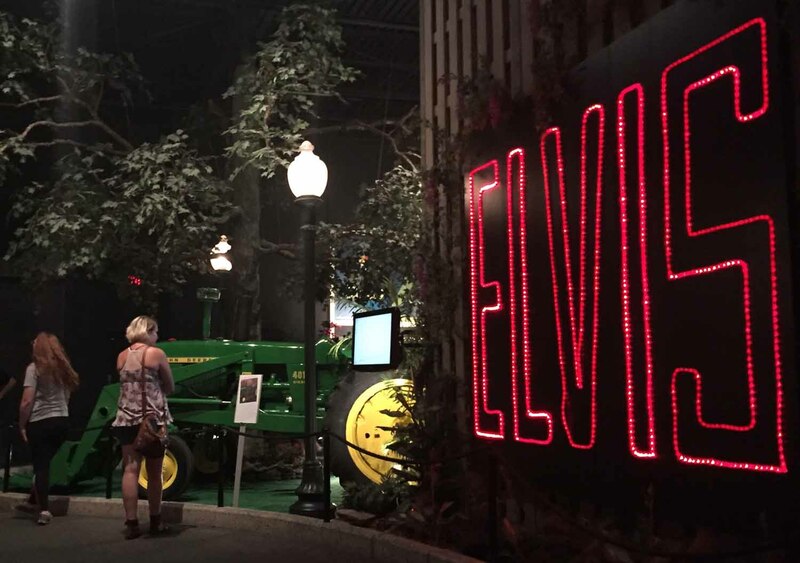 There are also separate buildings for Elvis: The Entertainer Career Museum, Presley Motors Automobile Museum, and Presley Cycles. 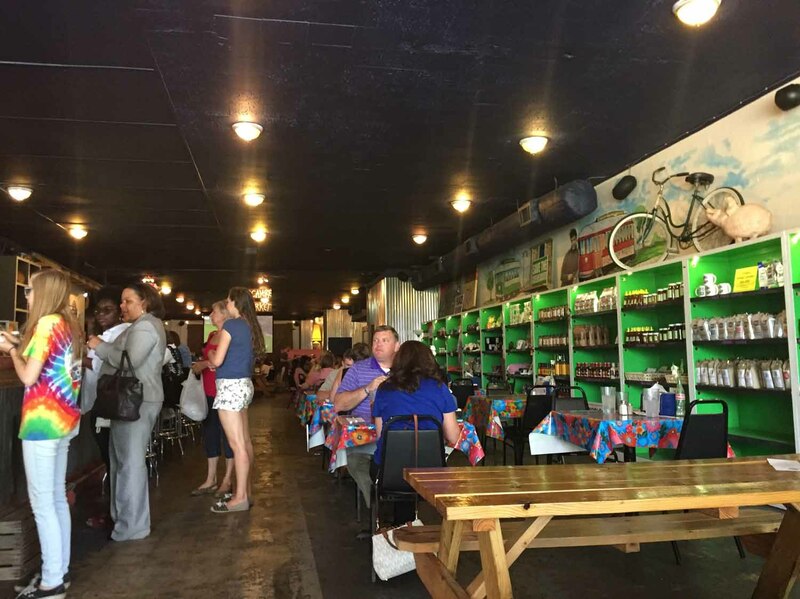 After we left Graceland, we drove back to downtown and had lunch at Trolley Market Stop, a popular casual eatery with delicious sandwiches and sides, before we headed to Sun Studio. 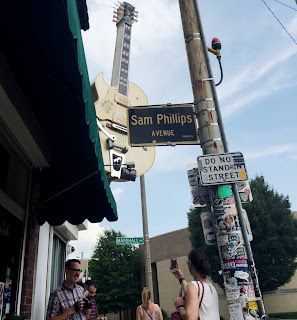 Sun Studio, or Sun Records, as it is also known, was started by Sam Phillips and has been called the “birthplace of rock n roll.” Elvis, Johnny Cash, and Jerry Lee Lewis, sometimes all at once all recorded here. 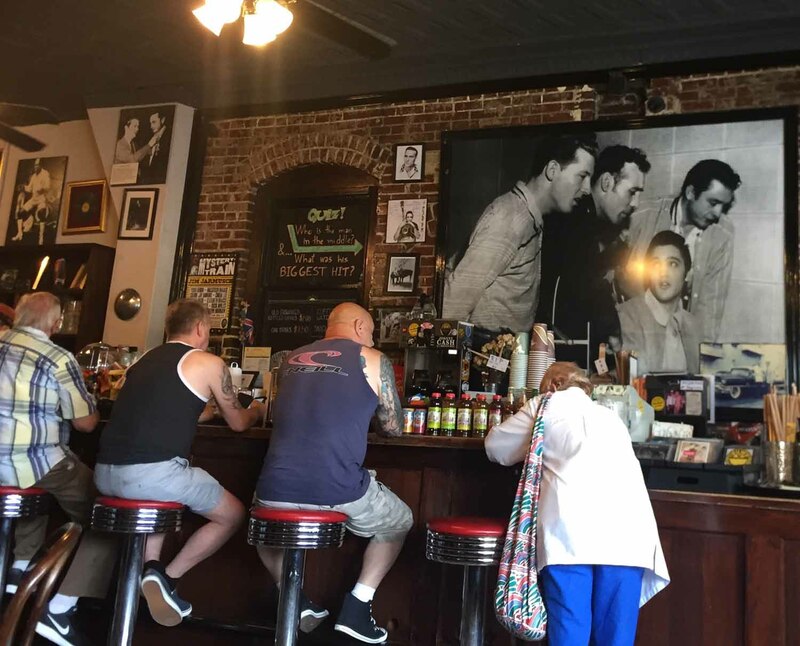 This National Historic Landmark has been restored, complete with a lunch counter that sells drinks and snacks for you to have while you wait for the tour. It’s still a hot spot for musicians to stop in and record. 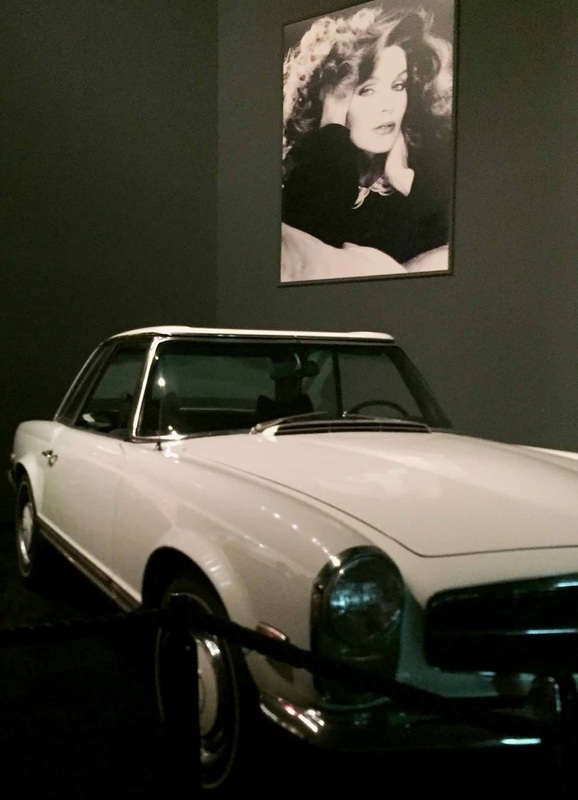 In fact, Lisa Marie Presley rented the place out to record in. 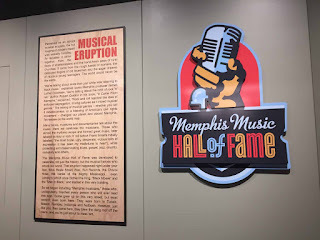 Next on our schedule was the Memphis Rock n’ Soul Museum, which is also on the free shuttle that takes you from Graceland and around to some of the city’s top museums. Outside Rock n’ Soul we saw a sign dedicating The Blues Trail and the museum took us through the history of soul music in this part of the south. 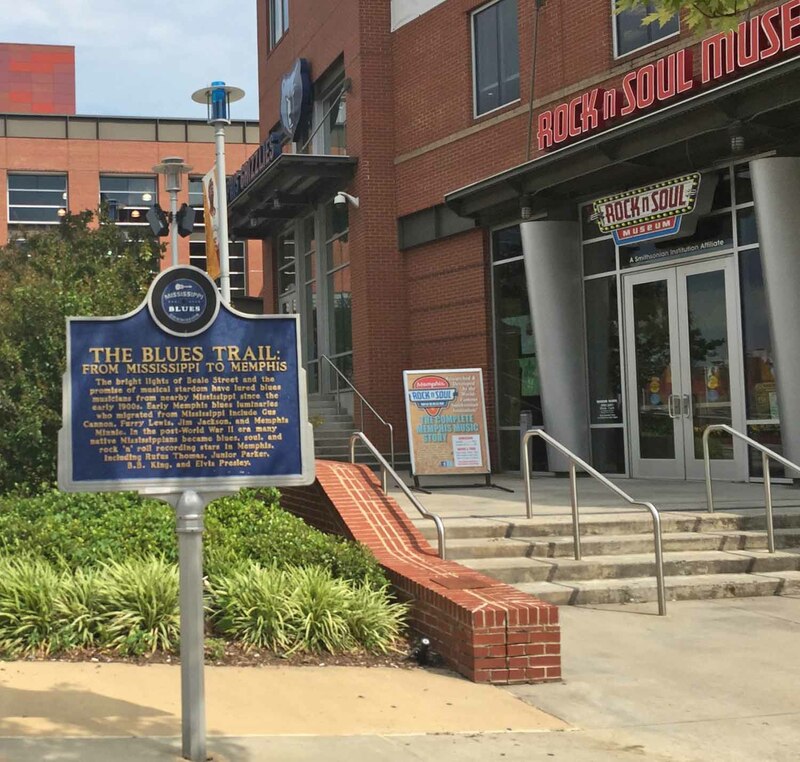 From there we walked through the famous Beale Street (which we were saving to explore the following day) to the Memphis Music Hall of Fame. 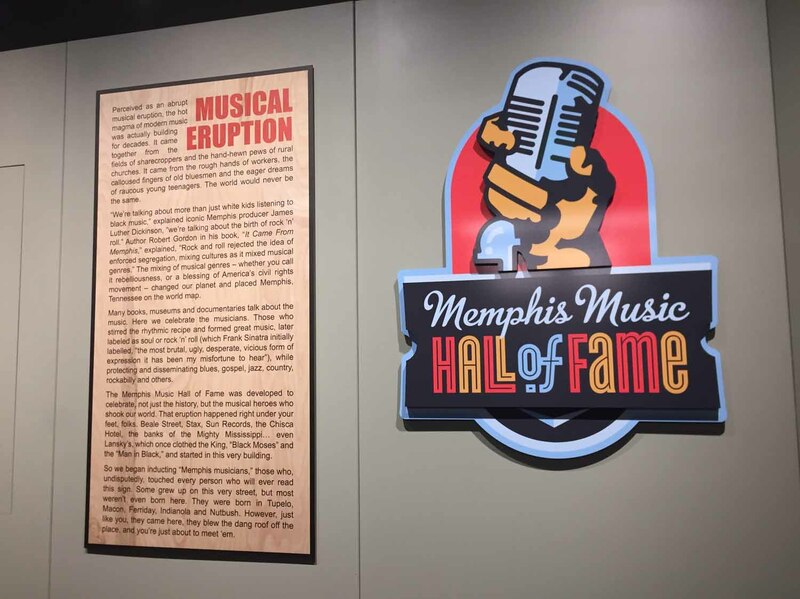 It was another interesting look at the music that has made and maintained this Tennessee city. 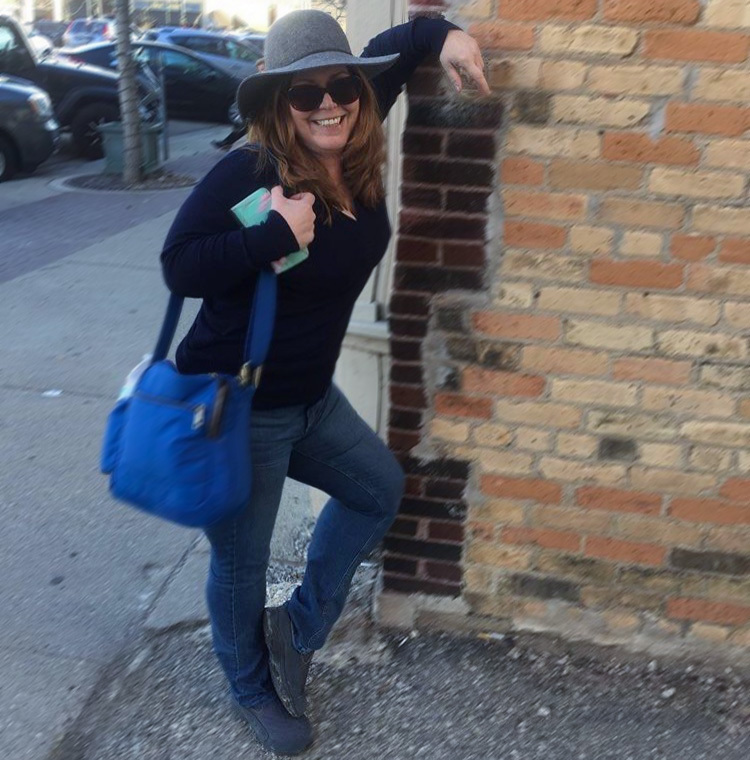 We headed back to the Madison Hotel and were happy our dinner would be back at Eighty3 and there was no more walking to be done. Angela and I started off with some cocktails. 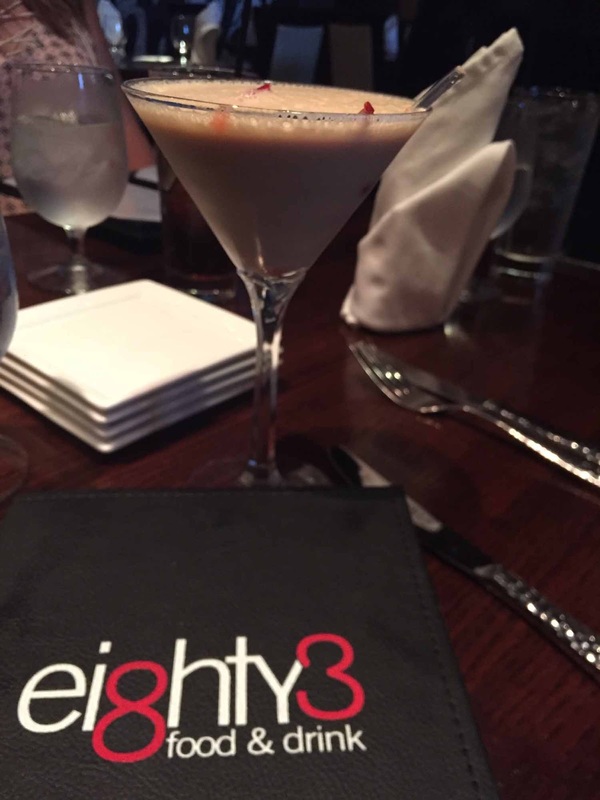 I was intrigued by the drink menu and went for the Long Kiss Goodnight Martini (Stoli Vanilla Vodka, Dark Godiva Liqueur, Godiva White Chocolate, cream, and a chocolate kiss). 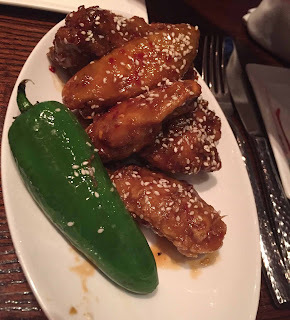 We ordered Fire Grilled Chicken Wings, fried calamari, and Eighty3 signature cornbread for appetizers. 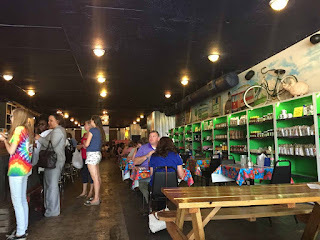 For dinner, we each chose something completely different, all of which were good options: filet mignon, Pecan Crusted Catfish, seafood pasta, and rigatoni with short rib and burrata. 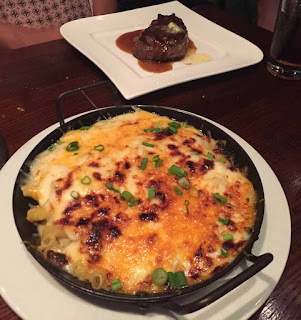 We also had a side of macaroni and cheese. We were all stuffed, but the desserts at the Madison Hotel looked too good to pass up so we decided to share an order each of the Deep-fried Oreos cookies and (ice) cream and Dark Chocolate mousse covered in fudge. It was a perfect end to a perfect day in Memphis.